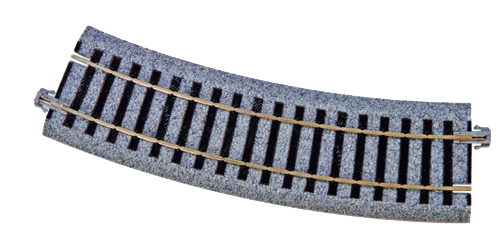 Kato pre-ballasted track provides an excellent alternative to traditional Hornby and PECO track particularly for modellers that don't have the space for a permanent model railway layout. 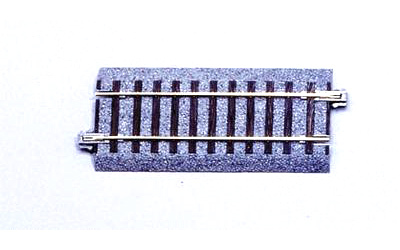 KATO track has a unique joining mechanism which both allows for easy connecting and separating, and also holds the track together preventing the tracks separating during operation. 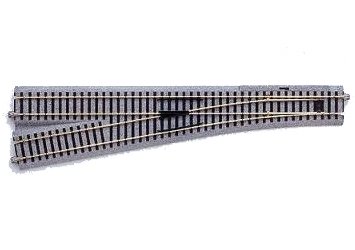 Suitable for modern Hornby OO locomotives. 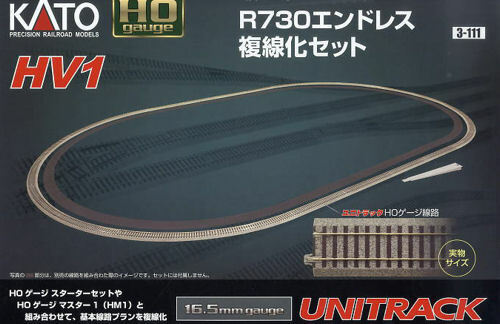 KATO Track - Left Hand Manual Point 490mm Radius (HO/OO). Code 83. 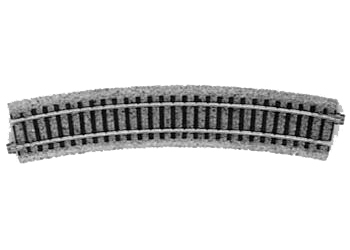 KATO Track - Right Hand Manual Point 490mm Radius (HO/OO). 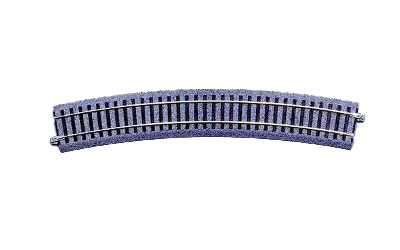 Code 83. 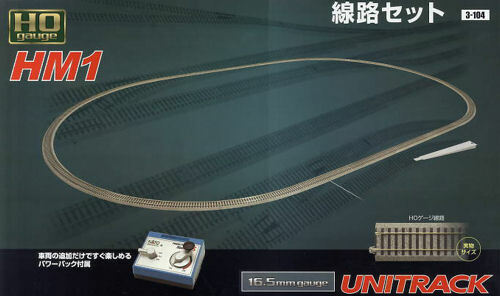 KATO Track - Left Hand Electric Point 550mm Radius (HO/OO). Code 83. KATO Track - Right Hand Electric Point 550mm Radius (HO/OO). Code 83. 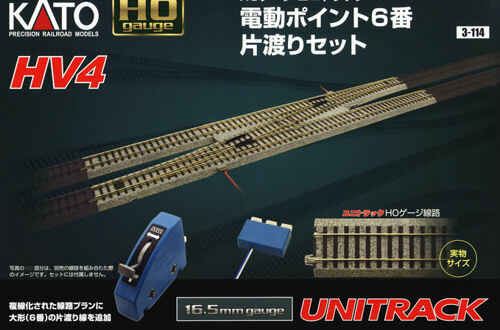 KATO Track - Left Hand Electric Point 867mm Radius (HO/OO). Code 83. 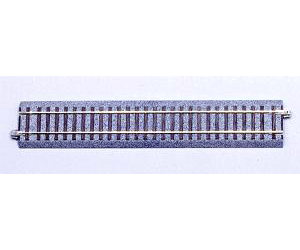 KATO Track - Right Hand Electric Point 867mm Radius (HO/OO). Code 83. 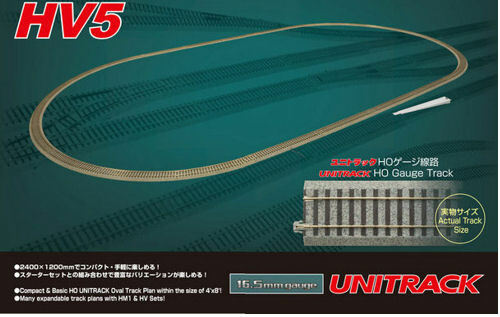 KATO Track - Straight Track 60mm (Pack of 4) (HO/OO). 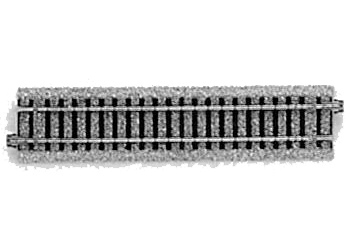 Code 83. 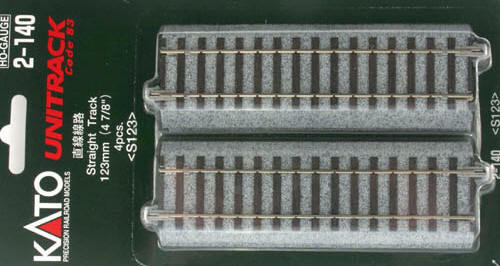 KATO Track - Straight Track 94mm (Pack of 2) (HO/OO). Code 83. KATO Track - Straight Track 114mm (Pack of 4) (HO/OO). Code 83. 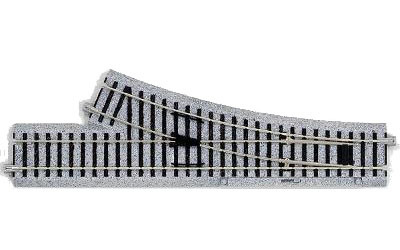 KATO Track - Straight Track 174mm (Pack of 4) (HO/OO). Code 83. KATO Track - Straight Track 123mm (Pack of 4) (HO/OO). Code 83. 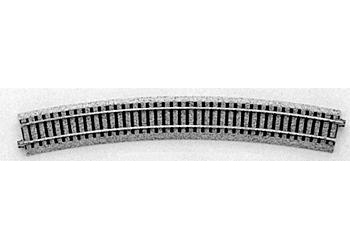 KATO Track - Straight Track 246mm (Pack of 4) (HO/OO). Code 83. 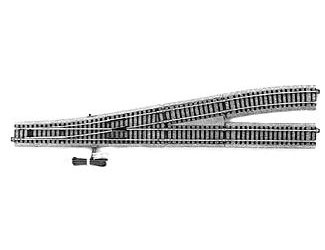 KATO Track - Feeder Straight Track 246mm (HO/OO). Code 83. 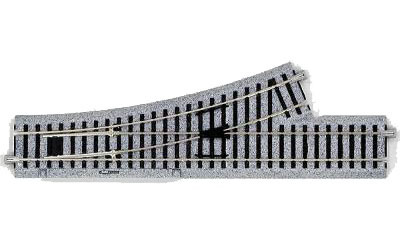 KATO Track - Straight Track 246mm - Concrete Sleeper (Pack of 4) (HO/OO). Code 83. 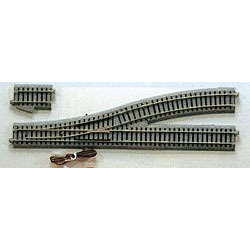 KATO Track - Straight Track 227mm - (Pack of 4) (HO/OO). Code 83. 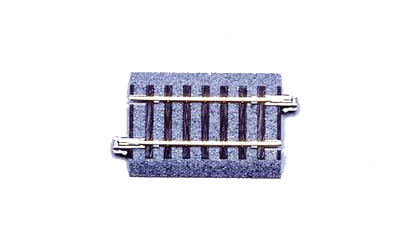 KATO Track - Buffer Stop on 109mm Straight Track (Pack of 2) (HO/OO). Code 83. 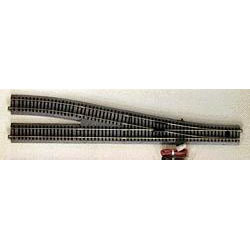 KATO Track - Straight Track 369mm - (Pack of 4) (HO/OO). Code 83. 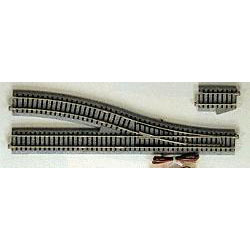 KATO Track - Straight Track 369mm - (Pack of 2) (HO/OO). Code 83. 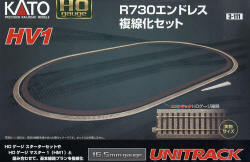 KATO Track - 90 Deg. 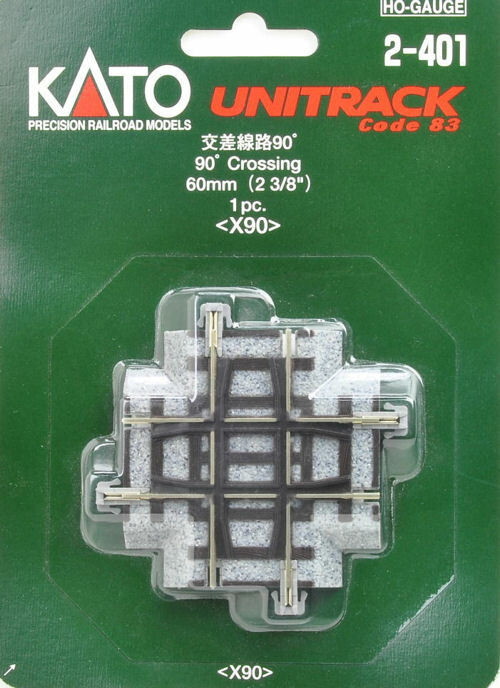 Crossing - 60mm (HO/OO). Code 83. 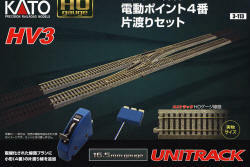 KATO Track 123mm (4 7/8") Automatic Three-Color Signal Track. 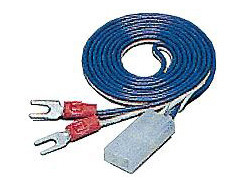 Requires 24-844 Automatic Signal Power Supply (HO/OO). Code 83. 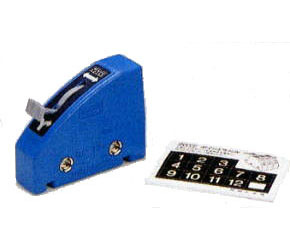 � Used to power up to three 2-601 Three colour signals. 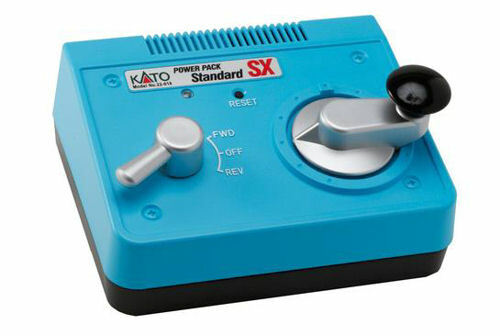 � Connect to the output of 24-829 when using the system with a Kato Power Pack. 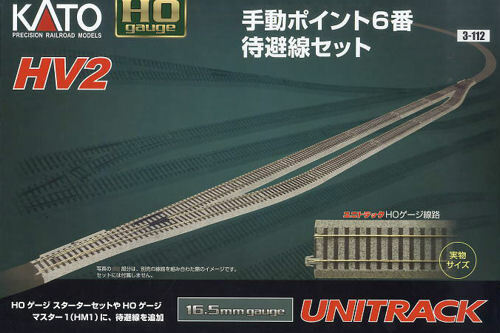 UniJoiners (20) (HO/OO and N Gauge). 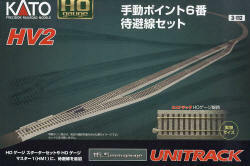 Insulated UniJoiners (20) (HO/OO and N Gauge). 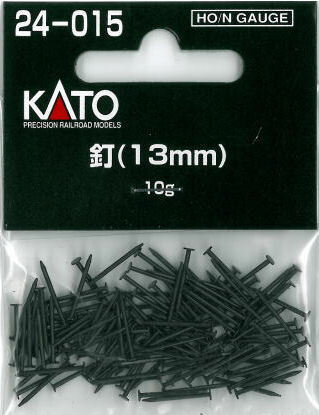 Kato Nails 13mm. 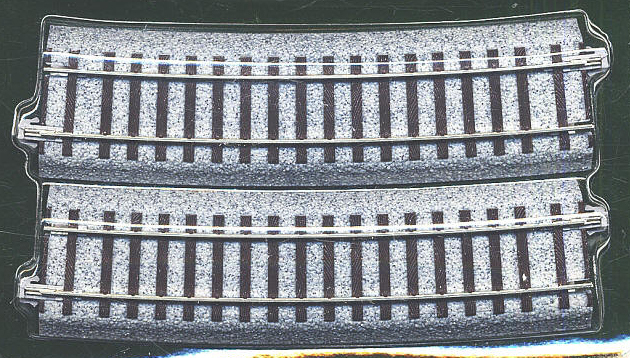 (HO/OO and N Gauge). 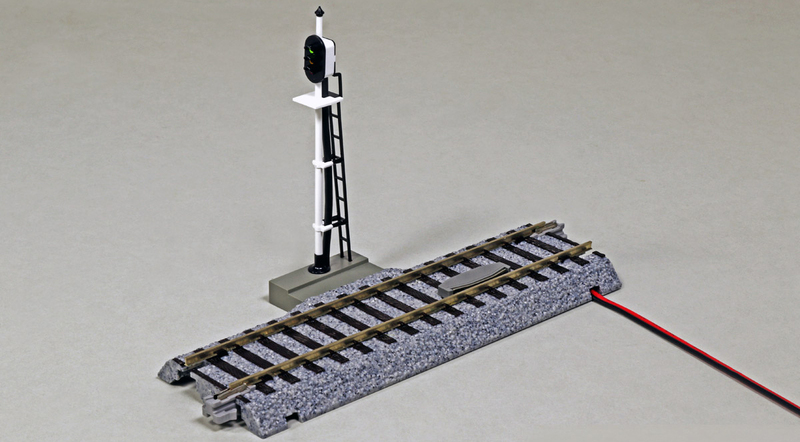 ● PWM (Pulse with modulation) method is adopted to control even slow motion of rolling stock and to realize its realistic run. 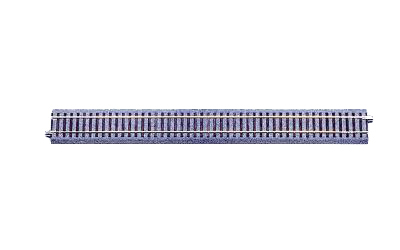 ●The output power is enhanced to 1.2A and stabilizes the rolling stock�s run. 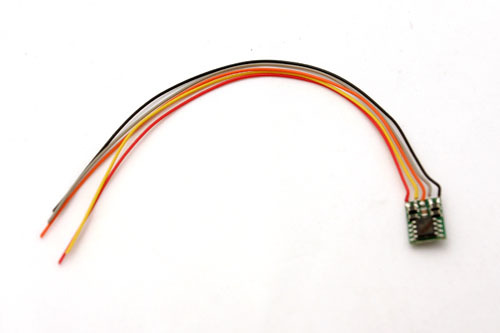 ●Installed with two-colour LED indicator which is normally lit on green and turns red in case of disorder happening. 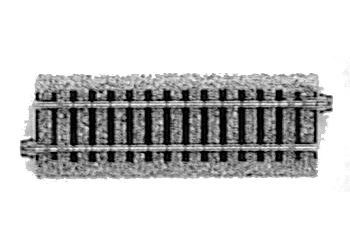 ● The position of safety device has now moved from the spot beside the output terminal on the side to the upper centre on the front side. 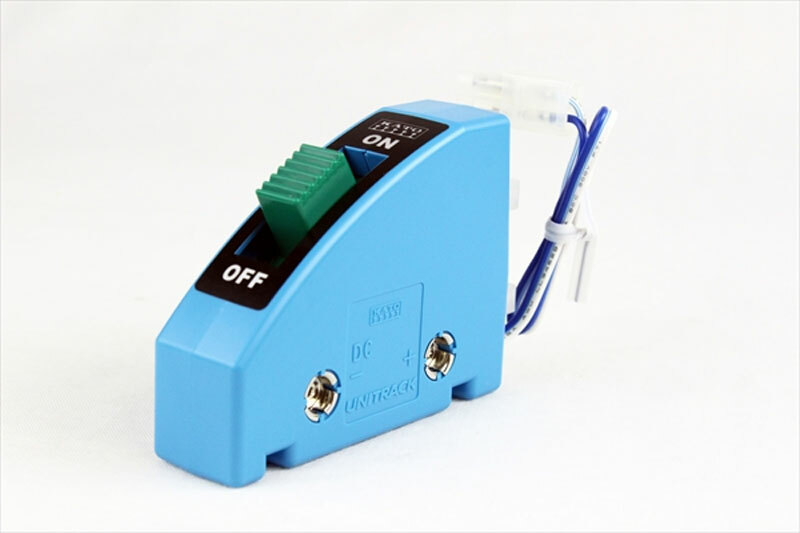 ● The master control lever is adopted for this controller as well. 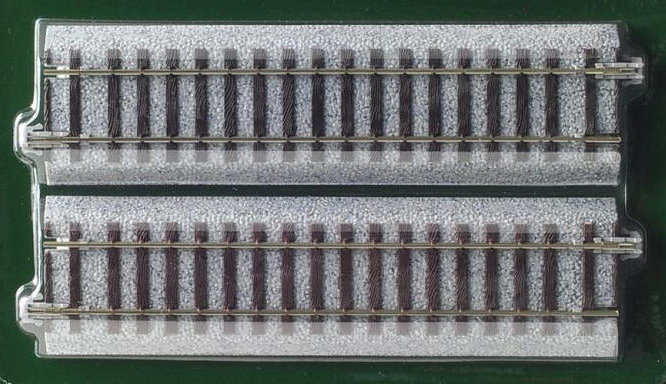 ● The turnout switches can be installed on the side for secure connection in this model as well. 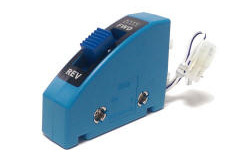 ● The package requires a separately-sold AC/DC adaptor. 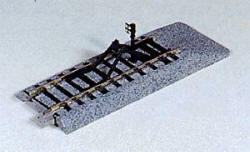 For N scale you will need K22-082. 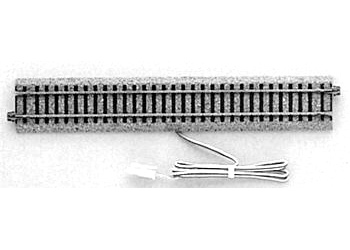 For HO scale you will need K22-083. 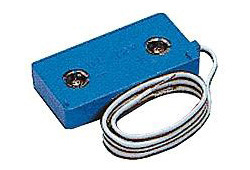 KATO point switch for use with KATO Point Motors and KATO electronic points. 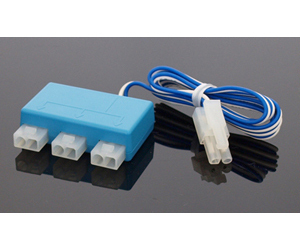 Connects to the side of 22-018 Power Controller to receive the required 12V DC. 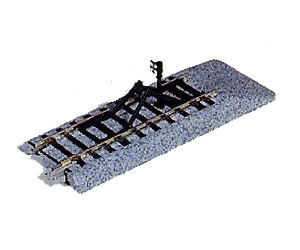 Allows you to turn on/off track feeders at will in order to isolate track sections at command. Usable with the Turntable Extension Tracks or in general with other UNITRACK Feeders or terminal Unijoiners. 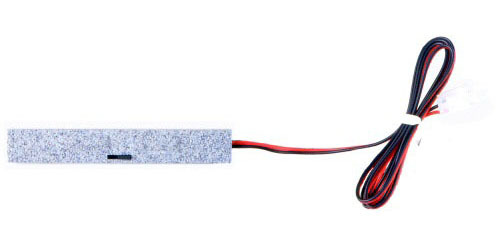 Connects to the side of 22-018 Power Controller to receive the required 12V DC. 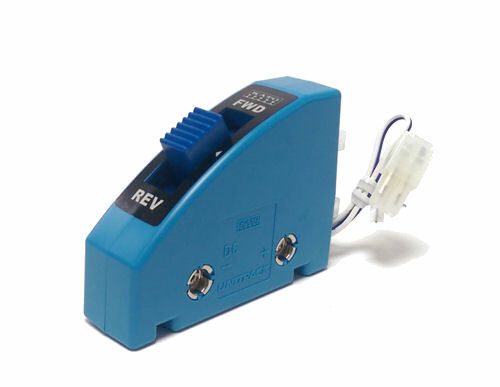 Control box allows you to reverse the direction of a track feeder at will in order to easily implement reversing loops. 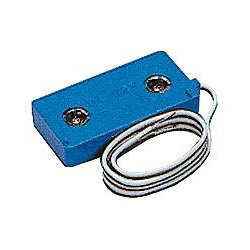 Connects to the side of 22-018 Power Controller to receive the required 12V DC. 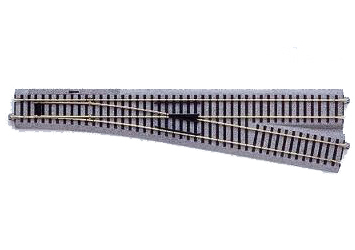 Terminal UniJoiners are wired, and replace the feeder track. 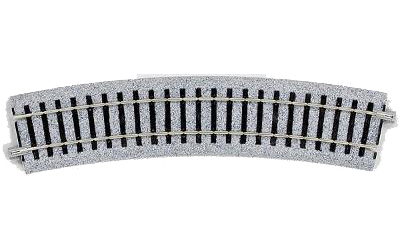 They make it easy to feed power to the curves, between switches and areas you do not want to plan a small piece of straight track. 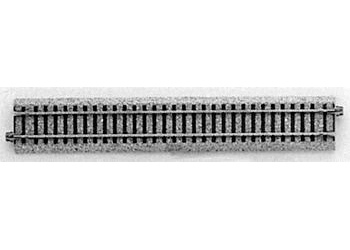 KATO Accessory Adapter for 22-018 Power Pack. 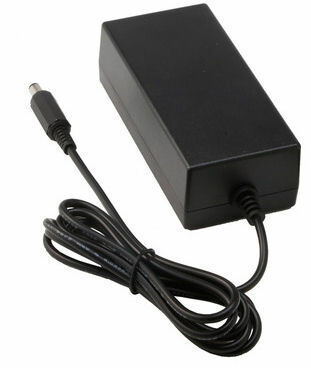 � Used to connect 24-844 Signal Power Supply to a Kato Power Pack. KATO Point Extension Cable. 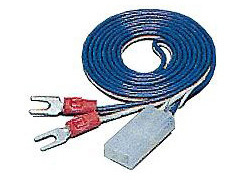 The turnout extension cable is used to extend the wire distance between the turnout control switch and turnout. 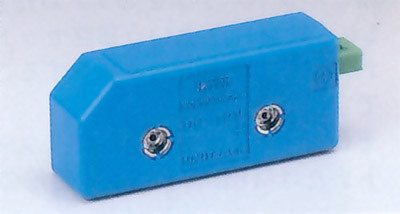 KATO DC Converter for Turnout Control Switches. 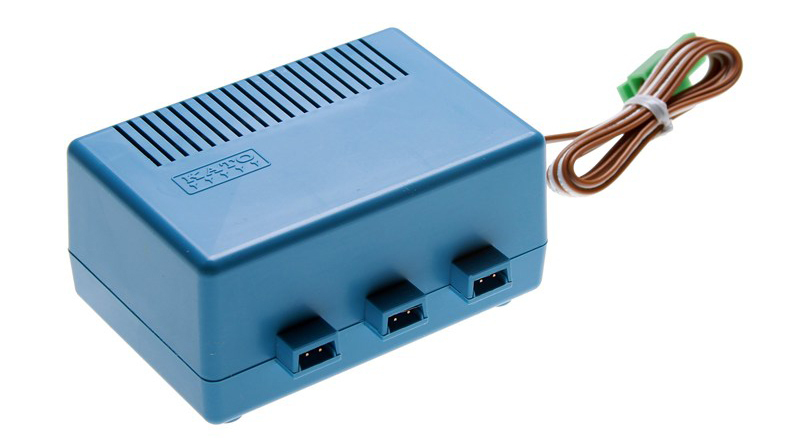 The DC Converter is connected to a power supply's 18V AC Output and converts the AC to DC for use by the KATO Turnout Switches K24-840. 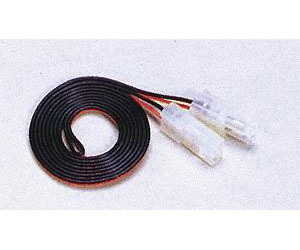 KATO 90cm long power pack adapter cable. 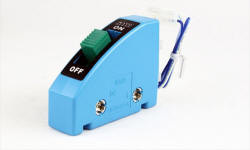 Connect Kato Plugs to any power pack screw terminals. 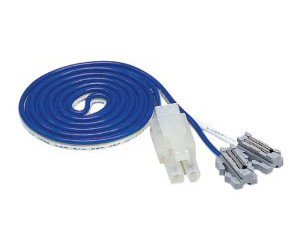 � Used to connect K20-605-1 to K24-844, also has #4 turnout compatible plug on one side and can be used to modify K24-841 Turnout extension cord if you lose the cable included with the turnout.